After swimmers complete Station 5 (pre-competitive) they can swim 25yds Freestyle and Backstroke. 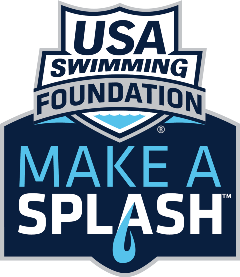 These swimmers are encouraged to join stroke school (competitive) which is an extension of lessons where advanced swimmers learn breaststroke and butterfly, how to swim an individual medley and will continue to refine skills while building endurance. Please click on stroke school to read more about competitive swimming. Please read this Club Information if you’re unsure if your swimmer is ready to advance to stroke school. This link should help to explain the transition and opportunities for success we provide. "Best swim school we have found in the area. Josh is extremely helpful and flexible. They have amazing coaches who are in the water with the kids. My boys love Coach Andrew." "You guys have been great with working with our schedule throughout these sections. I just wanted to say thanks! Our daughter loves swimming. I really like how in depth your lessons have been!" "Our teacher tonight was great working with our daughter. Before this she's only swam in shallow kiddy pools. I was pleasantly surprised at how much she was shown today and how well he worked at her pace. Both teachers were really nice!" "I just wanted to let you know that my daughter has loved swimming. I think they have helped her understand how to improve her swim strokes." ﻿Why Should My Child Learn to Swim?